Having just finished their "first significant expansion of Dota 2 server capacity around the world", Valve has announced today an enlargement of the Dota 2 beta, meaning more invites. 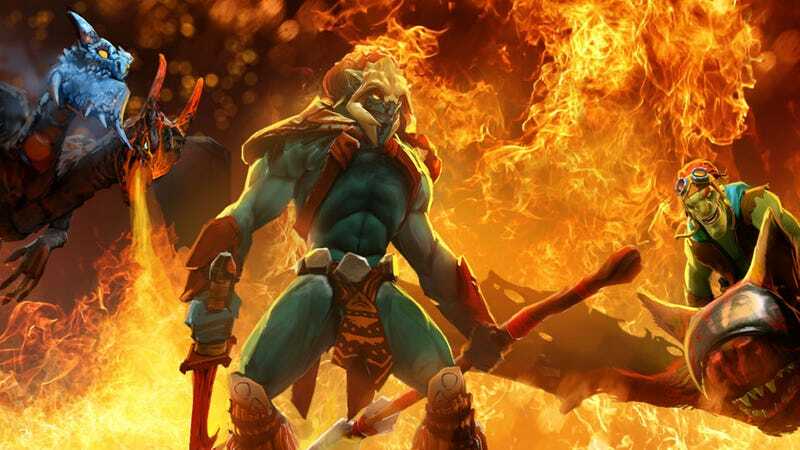 Beginning later this week, the company will be 'handing out Dota 2 in increasing volumes", with prospective testers/early players urged to complete a survey on the game to be in for a shot of securing a beta invitation. By increasing volumes, Valve really means increasing volumes: for every person who gets an invite, they'll be given two extra codes to be handed out to friends. Oh, and to commemorate the occasion, there's also a new Valve comic for the game kicking off today, called Tales from the Secret Shop.